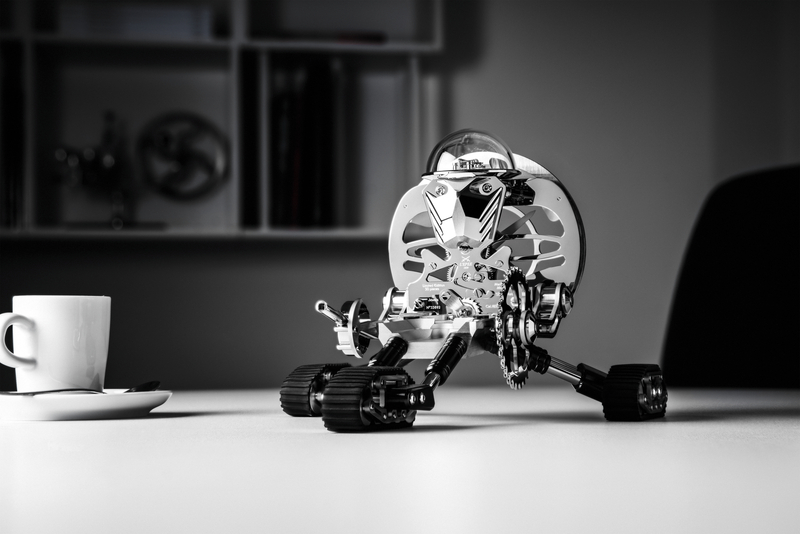 MB&F created a unique version of “Melchior” robot table clock to be sold at the Only Watch auction in Geneva on 7 November 2015 to support Duchenne Muscular Dystrophy research. Melchior is a high-end table clock conceived by Maximilian Büsser with the help of Xin Wang and manufactured by L’Epée 1839. The clock is encased in palladium-plated brass, stainless steel, red anodized aluminum and polished glass. 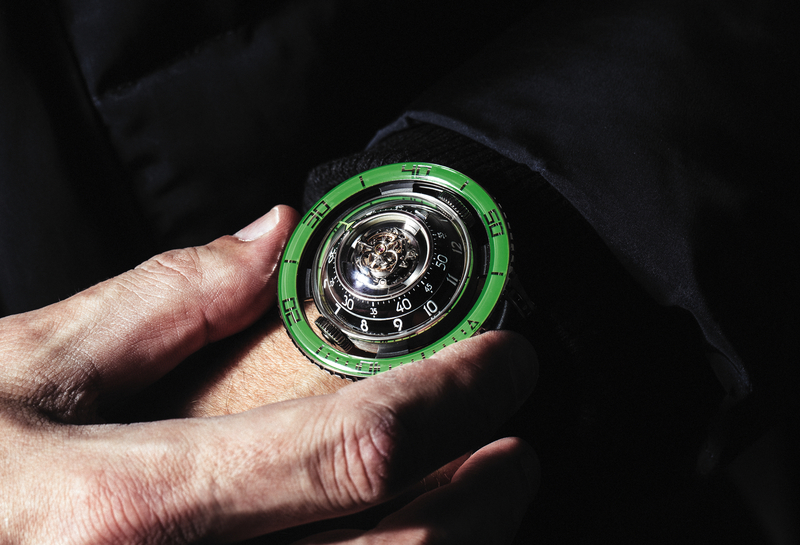 It features a jump hour function with sweeping minutes, double retrograde seconds and a remarkable 40-days of power reserve. The left forearm (Gatling gun) is a detachable winding key. Hours and minutes are displayed via discs on Melchior’s chest. 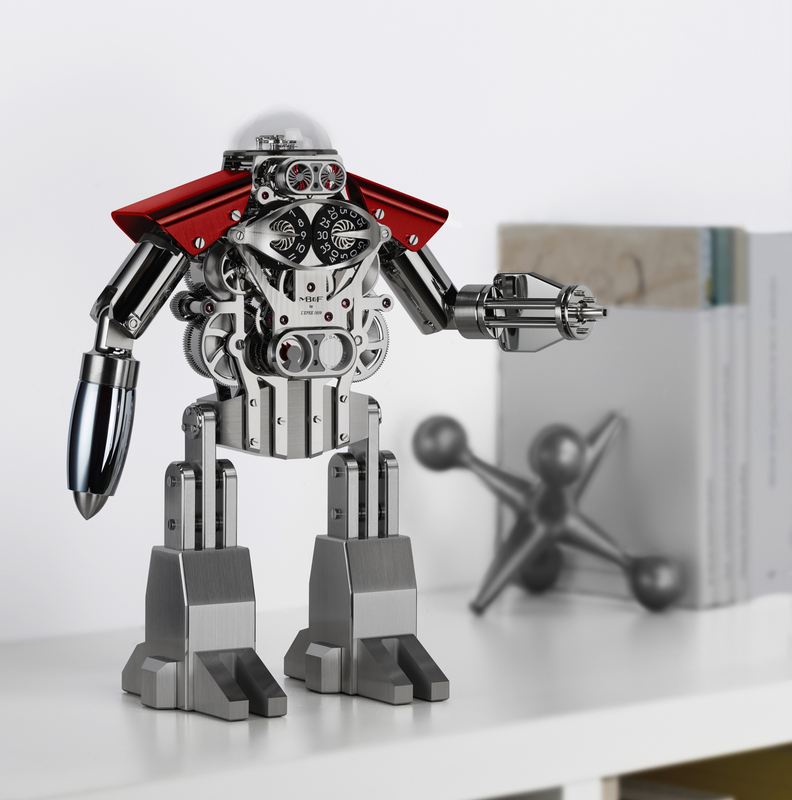 A combination of fixed vents and revolving discs gives the impression that Melchior is blinking his eyes, endowing the robot with a hint of human-like personality. 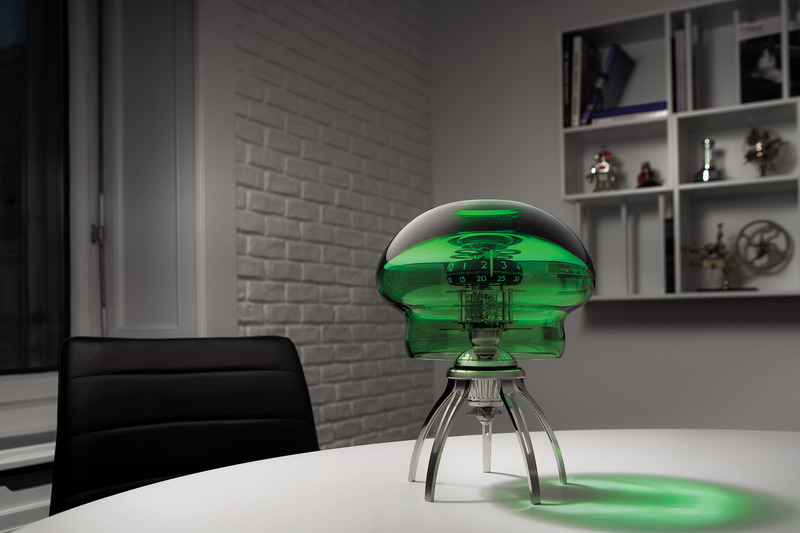 A further animation is provided by the regulator which can be seen oscillating through the polished glass dome cover. The Melchior Only Watch is the 100th and final clock in the Melchior series.